Who was Manuelito and why was this Native Indian chief famous? 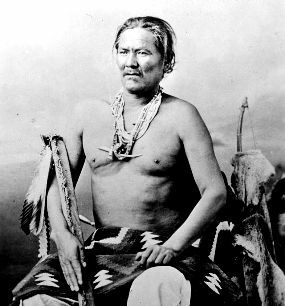 Summary: Manuelito (c.1818 - 1893) was a famous chief and war leader of the Navajo tribe. He was a leading figure in the resistance to military intrusion, the white settlement on Navajo tribal land and the forced relocation of his people. Manuelito joined his people on the 350-mile trail of death known as the infamous "Long Walk of the Navajo" to Bosque Redondo Reservation. The following fact sheet contains interesting facts, background history and information about the life of Manuelito and the events in history that led to his fame as a great Native American Indian leader. The following Manuelito timeline charts the life of this famous Navajo chief and his fight to prevent the Navajo Native Indians move to the the Bosque Redondo reservation.